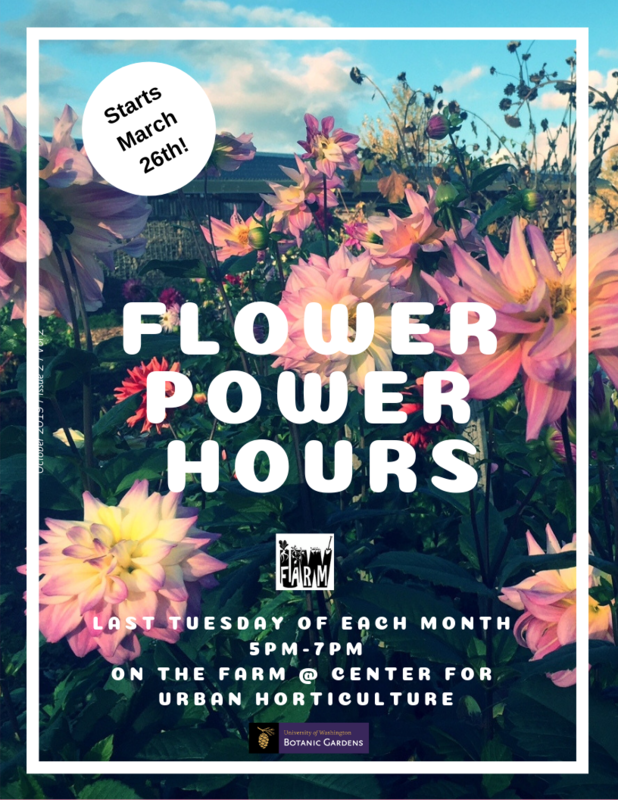 Tuesday, Mar 26, 2019, 5 – 7 p.m.
Come learn about the flowers grown at the UW Farm. Make bouquets for the CSA program and make one for yourself as well! Riz Reyes leads this informative fragrant workshop the last Ruesday of each month. Free and open to the public.